Alcovy Fence is your local Long Beach, MS (39560) fence provider. Alcovy Fence in Long Beach, MS can replace or install any type of ornamental aluminum or steel fence. 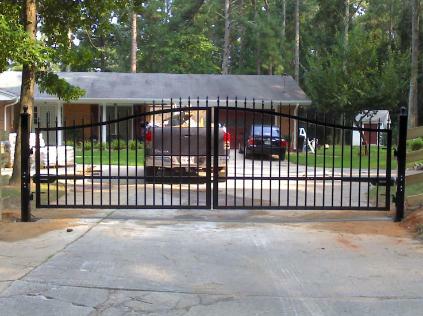 Alcovy Fence can also install steel or aluminum driveway gates and automate driveway gates. So contact Alcovy Fence for ALL your ornamental aluminum or steel fence needs. Our aluminum fences and gates add elegance, class, and beauty to any home or business while still doing what they do best: Assure your protection. Durable and long lasting - with clean, classic lines - they can be built to exact specifications. The product combines strength and durability with rust free qualities. 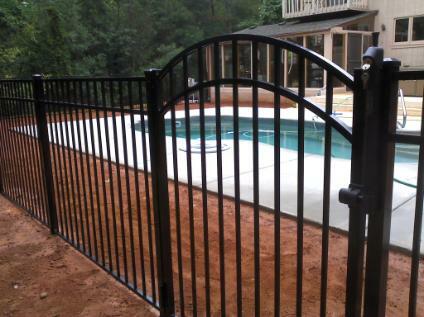 Our aluminum fencing is constructed with heavy wall aluminum extrusions. All of the fencing is finished with a coating that is resistant to chipping, peeling, and cracking. Little or no maintenance is required for the fencing. This not only guarantees it will preserve and enhance the character of your property, but also become a design element that will last a lifetime.